If it’s a drag, I’m glad you here, as these two will def brighten your day! A little late in posting, but better late than never! Fall is a crazy time of year for us photog folks! Annnyhow… Walter and Ashley lucked out like no other on their wedding day, there was warm temps, sunshine and gorgeous foliage! I started out my day at Ashley’s parent’s house where she was getting ready, then we moved onto Colt State Park in Bristol for a first look. What a sweet moment it was. After the ceremony and some fabulous photos at Colt State we moved onto the Century House in Acushnet for the reception! These guys had plenty of Bruins details and an oh so fabulous cake to go along with it! 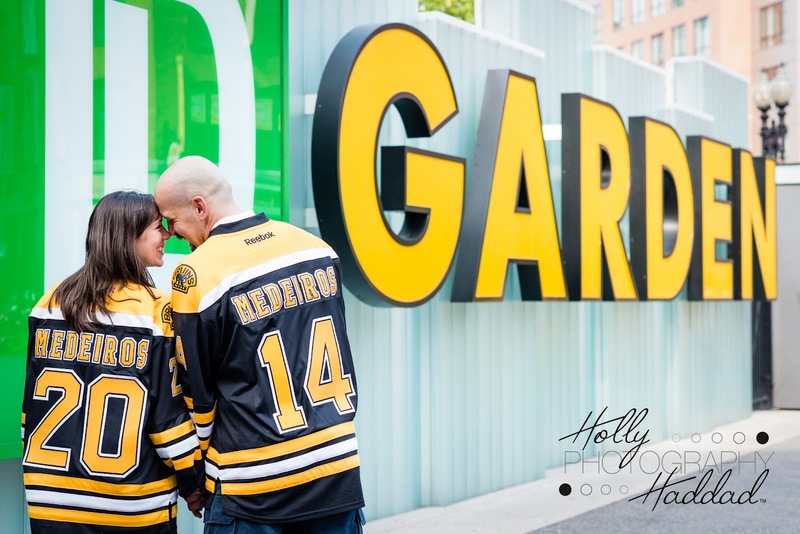 You may recall their fabulous Boston engagement shoot??? Ahhh. Good times! It’s always nice when the hubs is at a wedding with me and this one was no different! We had great time and partied the night away! Be sure to Like HHP on Facebook as the rest of the HHP wedding season will be debuting in the next few weeks! The fall season has commenced and is defiantly keeping me busy! Lots of weddings this fall and so glad my mini-sessions filled up so quickly! Meet Kheley and Kyle! These two are awesome! 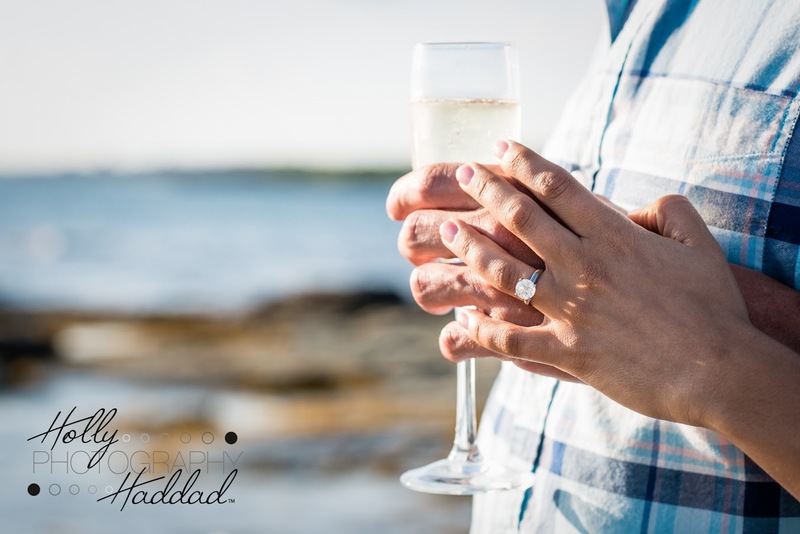 Their wedding was even more gorgeous then their engagement session! We met up beforehand at the hotel and got some great getting ready shots! Then we headed to The Villa in Bridgewater for the ceremony and reception! Kheley and Kyle had the tent and it was a gorgeous setting to celebrate their big day! The energy was high and vibe was full of love and support for the stunning bride and her handsome groom! Really, honestly, me rambling is no comparison to seeing the beautiful day unfold! Almost Mr & Mrs… Meet Walter and Ashley! Hi guys! Welcome back! It’s almost the weekend yay! Here is a recent session of two spectacular people… well four! Walter and Ashley are getting married this month and we spent some time in Boston for their engagement photos! As you will notice, they are big hockey… Bruins fans! They are also good friends of ours and Walter is my fabulous personal trainer! He’s who I get to thank for being able to be on my feet for hours on end during weddings and how I’m able to keep up with a crazy two year old! Speaking of which, the two adorable little munchkins are their super cute off-spring! I am so excited to shoot this wedding at the end of the month! Thanks so much for having me guys! Congrats Liz & Jake! 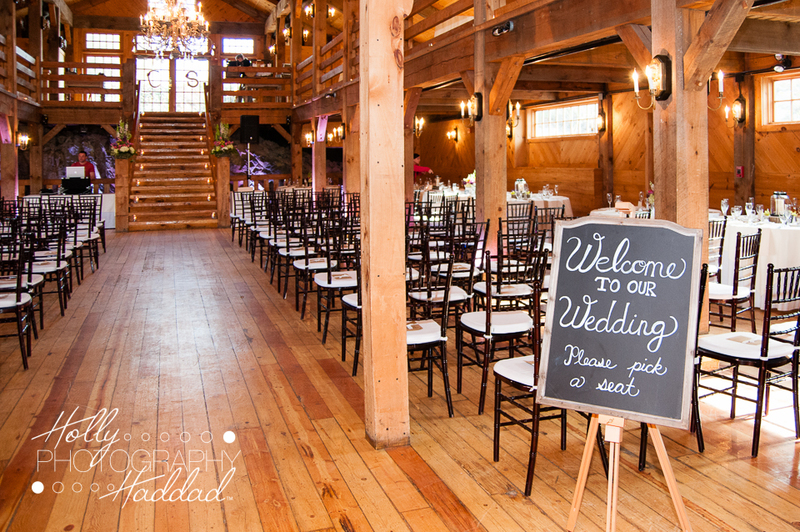 A Chamberlain Farm Wedding! Welcome back! Sorry for the delay… small computer blip, lots of colorful language, but alas, this fabulous blog post. Let’s not let that rain on the parade of happiness I’m about to share with you. Liz and Jake were that beautiful couple who’s engagement session I shared a few weeks back. The two crazy kids tied the knot among a fabulous group of friends and family at Chamberlain Farm in Berkeley, MA. I was a bit shocked that this was my first wedding at a great venue super close to home. Even through the rain and wet grounds, the staff worked hard to keep it safe and beautiful. The day started of with A LOT of rain. But, thankfully, the heavy stuff was out of the way by mid afternoon! That left us with some lingering clouds and mist… twist my arm says the photographer! The rain didn’t stop any of the love and support for Liz and Jake. What a sweet event to be a part of. Liz’s dad is a retired florist who did a phenomenal job with the flowers and the maple syrup favors! Friends make the romantic cake and guests mad libbed a personalized message to Liz and Jake. This topped off with a super fireworks display. Wow. If that isn’t starting off the rest of your life on the right foot I don’t know what is! Enough banter! Onto the photos! Happy Weekend! Well for me anyways! Squeezing the life out of these last few weeks of summer! Say hello to the S Family! Friends from high school, shooter of their wedding, and now I get to shoot their gorgeous family of four! Wow how times change! I met these guys at Colt State Park on a gorgeous summer afternoon. Stacey and Kevin got married at Colt State Park four years ago this summer! We tried so hard to get a sunny day but after two cancellations we just went for it. I’m glad we did, we got a beautiful early evening and some fabulous photos! 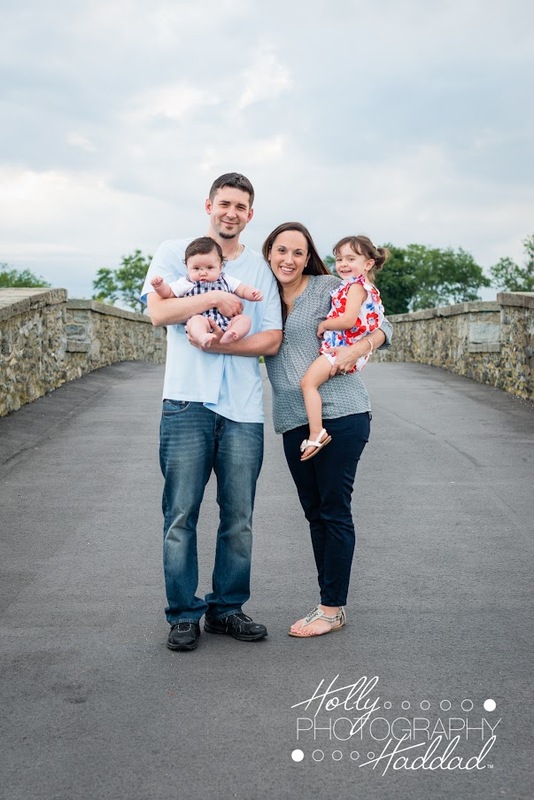 Almost Mr and Mrs… Meet Sara and Kyle! Anyhow – meet Sara and Kyle! They are getting married next spring and were a blast to shoot with! And they brought Rosco along for a few shots as well! We shot down at Roger Williams Park and I LOVED the late sunlight! Swoon for some lens flare! I’ll stop babbling (in my head as I’m clearly not saying this aloud LOL) and let you enjoy the love! Amanda and Andrew… A Providence Public Library Wedding! How’s a little wedding action to brighten this dull hump day? Amanda and Andrew are two of the sweetest people I’ve ever met! I am so happy they chose me to photograph such a special day for them! And what a day it was! Warm and sunny and a perfect day for a wedding! We made a few stops after the ceremony (Holy Cross Church in Providence) for some formal shots but thankfully left with enough time to get in some shooting at the Providence Public Library! A tiny bit disapointed they don’t allow you to shoot in the, um, books part of the library! But we made up for it… or least I think we did! Big thanks to Kate Guillette who was on hand to second shoot for me and captured some fabulous shots! I liked this couple from the start and I am so happy these came out so great! Steve <3 Courtney! 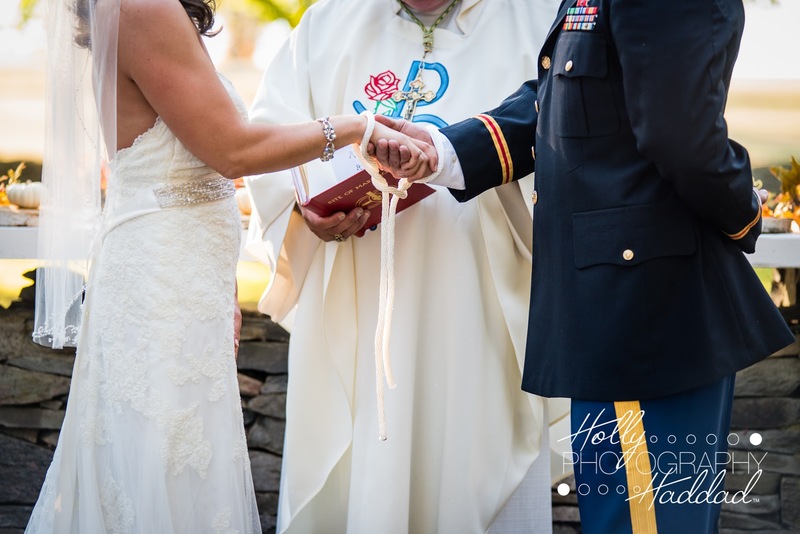 A Red Lion Inn Wedding! Nothing like a gorgeous hump day before a three day weekend to ease our way to Friday! Let’s add even more fun by tossing in this fabulous wedding of Courtney and Steve! You may recall their gorgeous fall engagement shoot and their wedding was no shortage of awesome. Courtney did a lot of the details herself and they were picture perfect. Their bridal party was hysterical and there was much love between them. It was such a fun wedding to be a part of! I also had Kate of Kate Guillette Photography to help me capture all angles of this beautiful day. Thanks Kate! Meet Nele, Brad & Jacob! Hi friends! Welcome back! Today’s post introduces some new clients! These guys were too cute and Mr Jacob kept us laughing! Even while editing these I could not help but laugh out loud! He has a crazy handsome smile that will some day knock the socks off the ladies! Nele and Brad are awesome parents and their new little one will be loved a ton by all three of them! This was my first shoot (crazy!) at Roger Williams Park and I loved it! What a great way to spend a Saturday morning! Thanks guys and best of luck with the new baby!